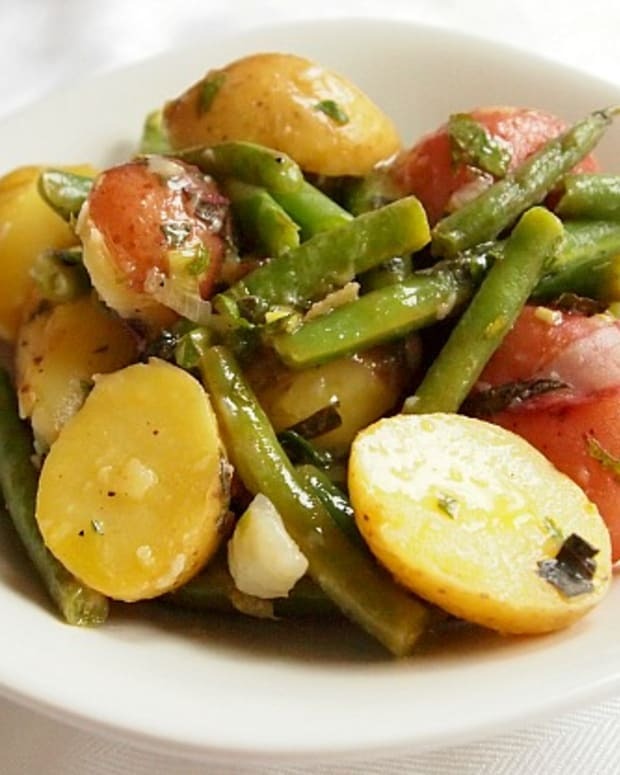 Delicious side dish of potatoes and green beans with a tasty horseradish based dressing! 2. 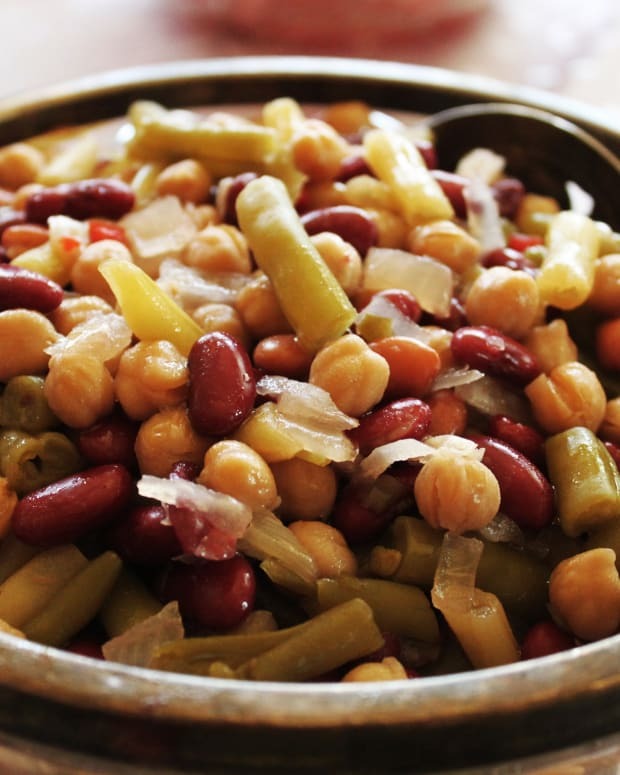 Melt margarine and add 2 tablespoons olive oil into a high sided skillet. Add potatoes cook about 15 minutes, add onions and cook until golden brown. 3. Meanwhile, boil and salt a 6 quart pot of water. 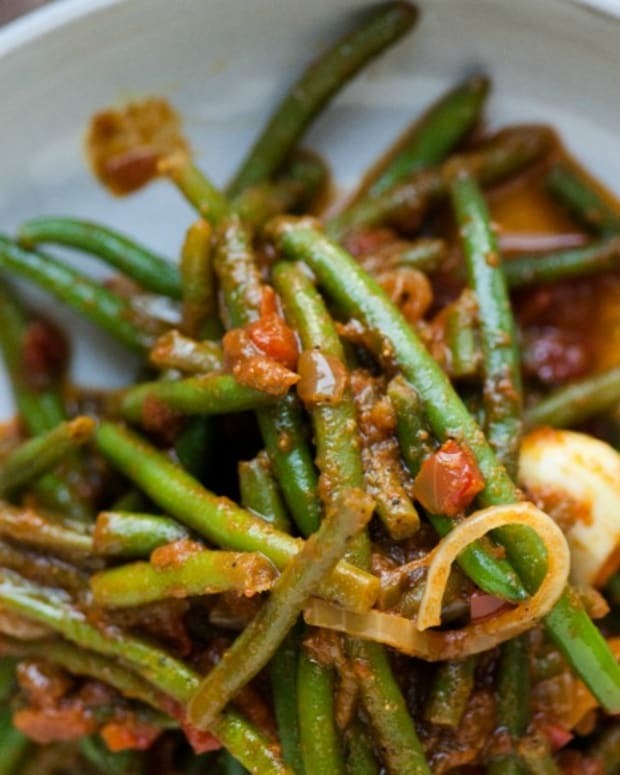 Cook string beans until tender but still crunchy about 5 minutes. 4. 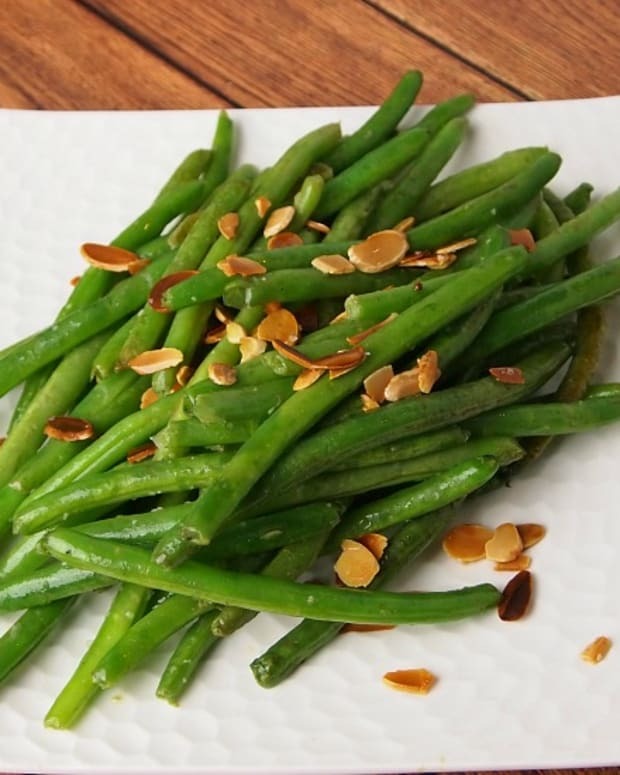 Remove string beans from boiling water and blanch in in ice water, drain well, set aside. 5. 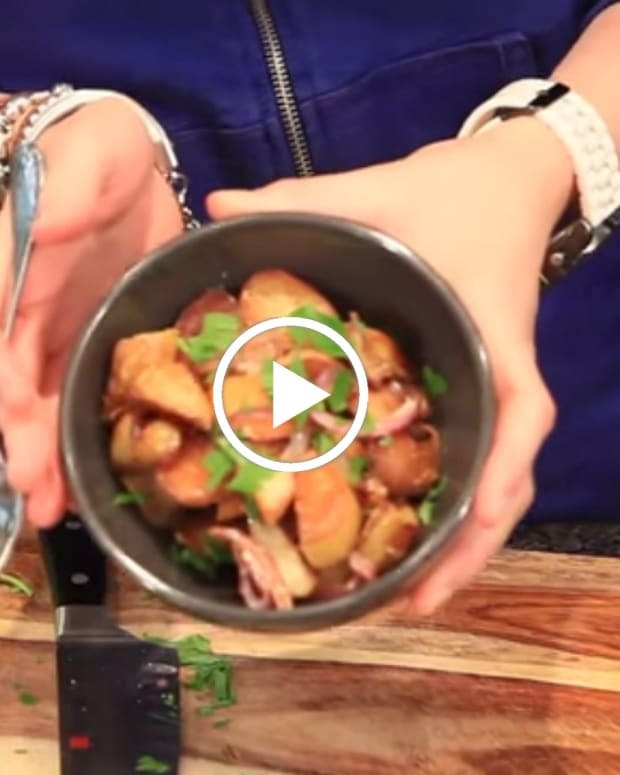 Add thyme to potatoes and onions and continue cooking. 6. 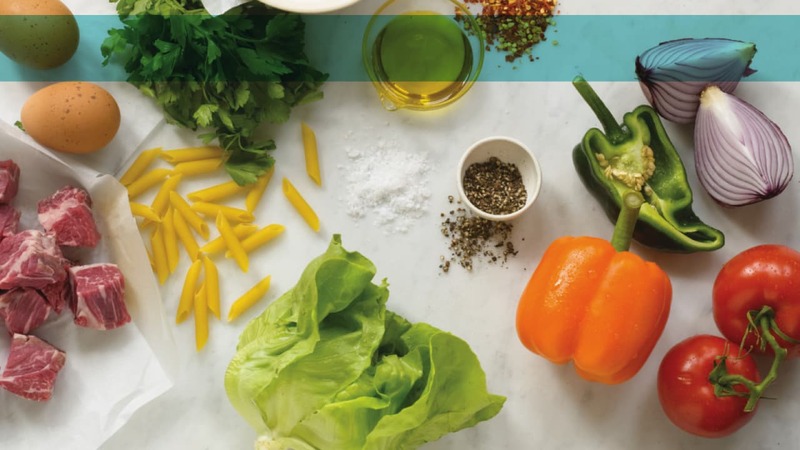 In a small bowl, zest lemon and juice it, add mustard, horseradish and honey, and whisk together. While whisking, add remaining olive oil till combined. 8. 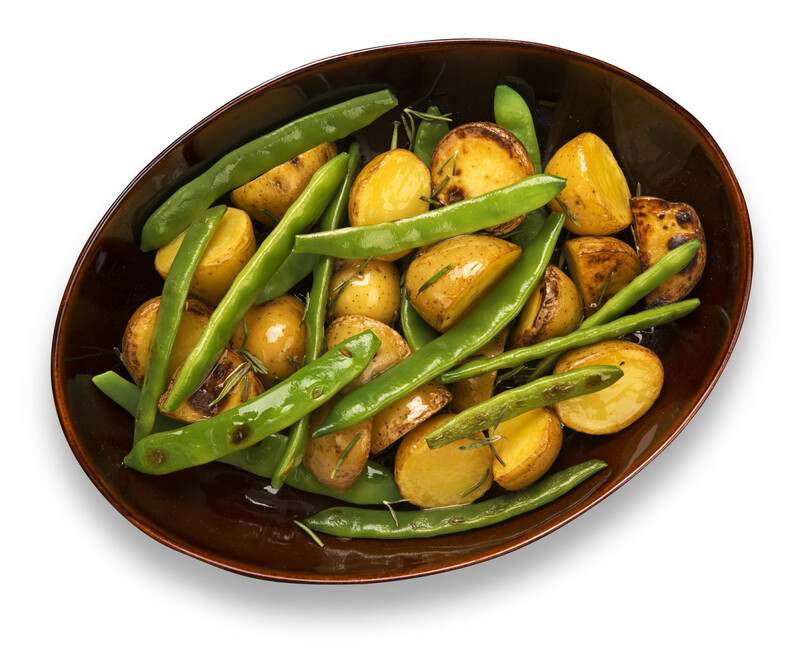 In a large bowl, combine potatoes, onions and string beans. 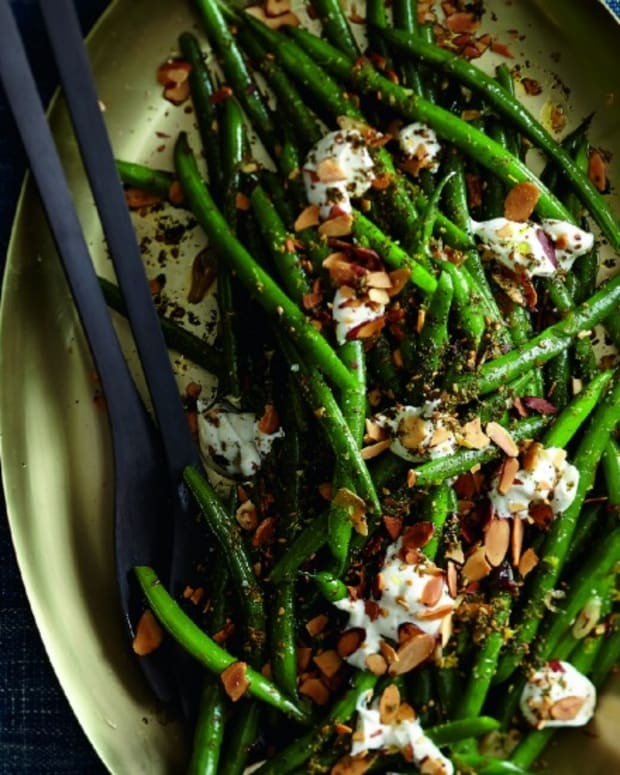 Add horseradish dressing and toss lightly. Serve warm or chilled.